Australian kitchens are shrinking in size. As our suburbs and cities become denser with an increase in townhouses and apartments, and as people cook less – preferring to eat out or order in – our kitchens are slowly getting smaller. 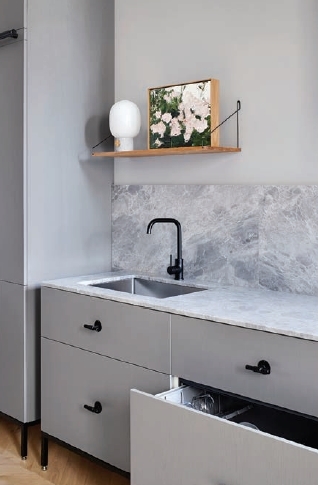 But despite this decrease in size, there has been an increase in function, as kitchens are now increasingly used for socialising, entertaining and even working. With so many demands, these multi-functional compact kitchens need to be even more practical for ease of use and efficiency. The right choice of appliances can help make compact kitchens just as functional and feel equally spacious as their larger counterparts. 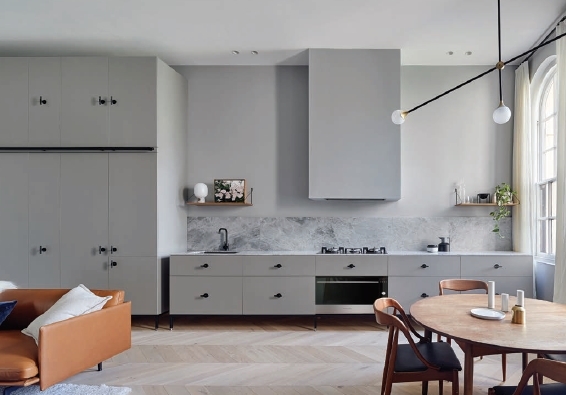 Fisher & Paykel’s appliance range has a high level of modularity and customisation to cater for different space and needs, whether it’s cooking a feast, hosting family and friends or preparing a quick bite to eat. When storage space is limited, the Integrated Column Fridges offer narrow dimensions and the option of modular units. 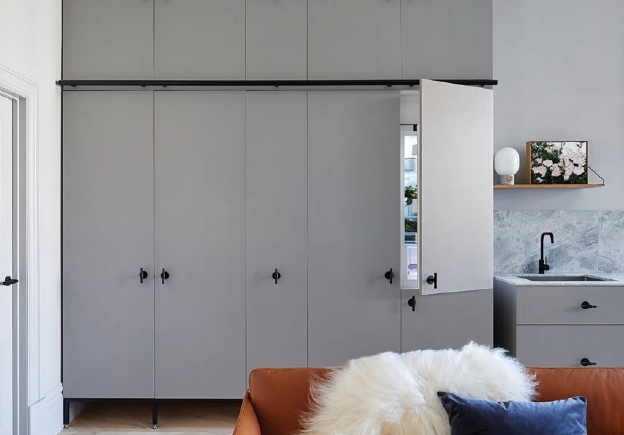 They have a flush-fit design and can be neatly integrated behind joinery doors to create a seamless effect when kitchen, dining and living area is all in one. 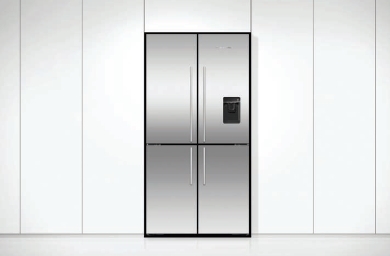 The Integrated Column Fridges come with independent compartments and variable temperature zones (fridge, pantry and chill) so that storage needs can be customised. For the option of fridge, freezer, pantry or drinks cooler, the CoolDrawer™ Multi-temperature Drawer is a versatile appliance that can be installed where space best allows, and the temperature customised to suit storage needs. Five temperature settings provide total flexibility at the touch of a button. It can even be installed in the living area, easy-to-reach for those who love to entertain. The Quad Door Fridge Freezer is an all-in-one appliance with four zones: two fridges, one freezer and one Variable Temperature Zone. Fresh ice and a water dispenser on the drawer make it even more convenient. The Quad Door Fridge Freezer, like many other Fisher & Paykel appliances, can be discreetly integrated behind door fronts to create a streamlined kitchen and enhance the sense of space. Bench space is often at a premium in a compact kitchen. A personally configured cooktop will not only help maximise kitchen work surfaces, but can also be customised to cooking needs. Fisher & Paykel has a range of compact induction and gas cooktops that vary in width and offer from one to five burners or heat zones. They can be installed alone or in combination to suit your culinary style. 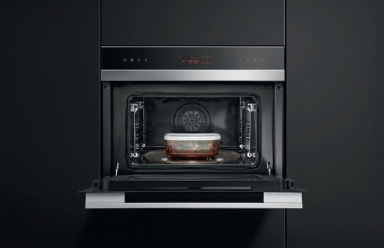 To save on needing extra appliances, Fisher & Paykel’s Built-in Combination Ovens offer two-in-one functions, combining a steam or microwave oven with standard fan-forced and grill. When it comes to cleaning up, single and double DishDrawer™ dishwashers save on space, water and energy use. They will keep dirty dishes out of sight and out of the way, helping to keep a compact kitchen more functional and spacious. 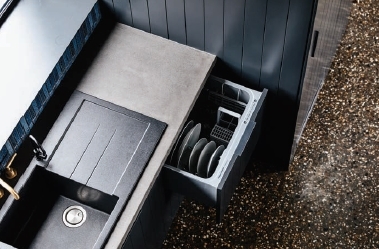 The DishDrawer™ dishwasher can be positioned to suit kitchen design and household use – installed singularly, stacked on top or placed alongside each other. Less space doesn’t need to mean less functionality or design freedom. With Fisher & Paykel’s range of modular, customisable appliances, a compact kitchen is just as practical and perfectly suited to use as its larger counterparts. 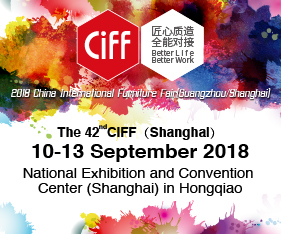 Posted in Architecture & Design, New Products. Bookmark the permalink. Embrace timeless styles with the new bed linens collection at DOMO.